If you’ve been around the performance clothing world, you should be well versed in the odor resistant properties of merino wool. While many tout the “magical” properties, we have not seen many head-to-head tests of merino vs. other fabrics for odor resistance. 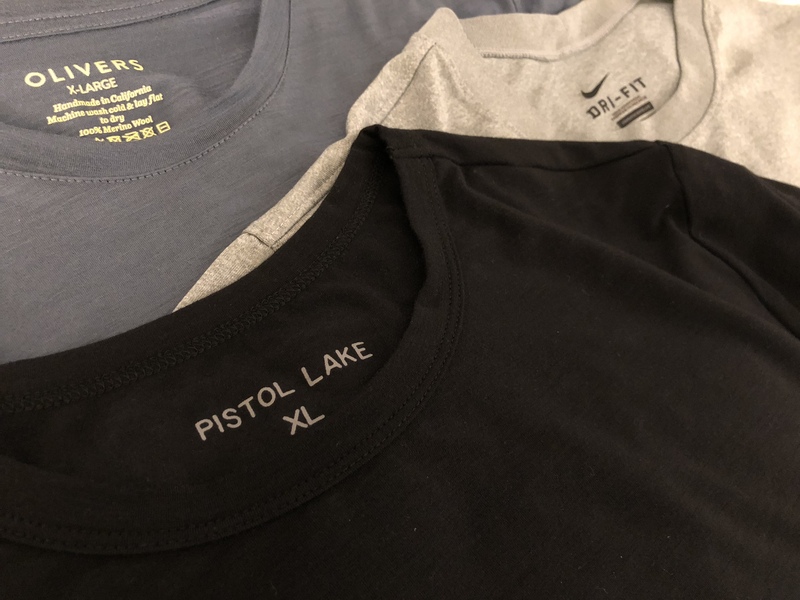 I picked out three of my workout tees for this test — standard 100% polyester (Nike Dri-FIT), Olivers Convoy Tee (100% merino, our review), and Pistol Lake Minimalist Performance Tee (Lightweight Eudae, our review). I wore each shirt for my standard workouts (kettlebell or rowing), hanging to dry overnight, until each started to smell. The tests were repeated two times each. This shirt smelled after just one workout. The smell was bad enough that even if I were in the woods, I wouldn’t have wanted to give it a second wear. When dry, especially in winter, polyester gets terrible static cling. When wet or sweaty, polyester clings to your body in the worst way possible. Eudae is a 76% polyester, 19% Tencel, and 5% spandex blend. I was able to get a respectable four workouts out of this shirt. If I were hiking I could have probably pushed it another day or two. Eudae is my favorite lightweight material — it is amazingly soft and comfortable, with just the right amount of stretch to get out of your way at the gym. It looks and drapes just like cotton, and does a great job wicking sweat without getting that damp clingy feeling. 100% merino turned out to be the champ. I was able to get eight-plus workouts out of this shirt. And really, when I decided to wash, it was because it was getting a little dirty looking. Merino is on par with Eudae on sweat wicking, however is not as good looking or comfortable. In the looks department, merino tends to have a slight shine and doesn’t quite drape like cotton (it almost has a “heavy” look). As for comfort, 100% merino has a decent amount of stretch for exercise, but it can sometimes be slightly scratchy when compared to other materials (this depends on the grade of merino). If you want the best odor resistance, nothing beats 100% merino. If durability is important, you can find merino/nylon blends, but expect the odor resistance to decrease with increasing nylon content. For comfort and looks with respectable odor resistance, go with the Eudae. And the polyester — just forget it. These performance tees can also become part of your regular wardrobe. With the extended wear you can get from them, it becomes easy to justify the higher prices (all while slimming down your wardrobe).